Collagen is a basic constituent protein, forming up to 30% of human body protein and 70% of skin protein. It is abundant in bone tissue, skin, eye tissue, the kidneys, liver and the digestive system. It is also found in the fluids of body cells. It is produced in body tissue, specifically by fibroblasts and bone tissue chrondrocites. All the hormones produced by the body, take an active part in its biosynthesis. The structure of collagen consists of long chained spirals of peptides, which are formed from the amino acids: glycine, proline and hydroxyprolines. These chains are arranged into a space structure of super helixes as referred to before. Collagen performs a vital role in the wellbeing of the whole bodily organism, due to its physical and biochemical actions. It provides the building frame for bone tissue, ligament suppleness and plays an important role in the protection of skin tissue. It enhances the uptake moisture which is necessary to retain skin texture and flexibility. The replenishment of collagen is continuous throughout the life of the human body. During the natural ageing process however, the replacement of collagen is gradually reduced and therefore it cannot aid replacement of new skin tissue to the same extent as before. This overall deficit in collagen production causes gradual retardation of body cell renewal. Inventia Polish Technologies have introduced a product to counteract this ageing process it is called Natural Collagen (NC 5-26) whose effects are noticeable after only a few days application. The unique formulation of NC 5-26 is 100% natural and contains no artificial additives of any description. It contains no colouring and is odourless. NC 5-26 is produced from the very best natural resources, by a new, effective technology which guarantees the desired collagen super helix structure. It is readily absorbed by the skin and has a long shelf life. NC 5-26 is suitable for application to all types of skin and can be used by all age groups. It is specifically recommended for those over 21 years old because their skin has already started to age naturally. It is recommended for those persons whose skin shows signs of ageing and loss of moisture. All three are suitable for cosmetic applications. Recommended for facial applications and should be applied as advised in the instructions. wash the face with a mild soap. Apply NC 5-25 onto a moist face, using a drop to the brow, cheeks, chin, back of neck and front of neck, rub in to distribute evenly. Apply your usual face cream. Do not apply Natural Collagen products directly after using cleansing tonics. 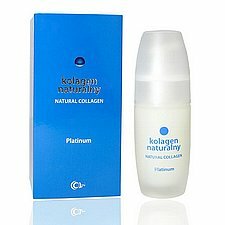 Collagen is a protein which will break down in the presence of acids contained in tonics and other skin cleansers. For optimum results, Natural Collagen NC 5-26 should be applied three times a day.